The North Coast High School Hockey Leage (NCHSHL) has joined forces with the Cleveland Suburban Hockey League; if interested in keeping up with the latest NCHSHL happenings please visit us at our new home- CSHL-NCHSHL. 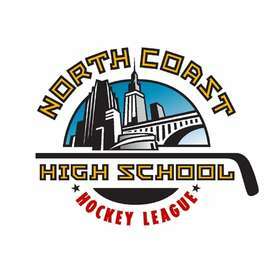 About the league: The North Coast High School Hockey League (NCHSHL), a division of the Cleveland Suburban Hockey League, is comprised of 9 USA Hockey High School hockey teams. The league provides players grades 9-12 the opportunity to play at the high school level competing against OHSAA Varsity teams and other USA Hockey registered High School teams. 2013/2014 North Coast High School Hockey League Members: Brunswick/Elyria Blue Panthers, Fremont Ice Wolves, Great Lakes Freeze, Jackson Polar Bears, Medina Bees, North Royalton Bears, Riverside Beavers, Euclid Vikings, and the Wooster Oilers. The 2015 USA Hockey, Ohio High School State Championships will be played March 6-8, 2015 in Columbus, Ohio-. More details to follow. 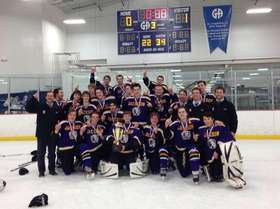 The North Coast High School Hockey League would like to congratulate the Jackson Polar Bears for winning the USA Hockey Ohio High School Championship, defeating the North Royalton Bears on Sunday, March 9th, 1-0, in the State Championship Game.